What better way to teach preteens about coding than the beloved friendship bracelet. 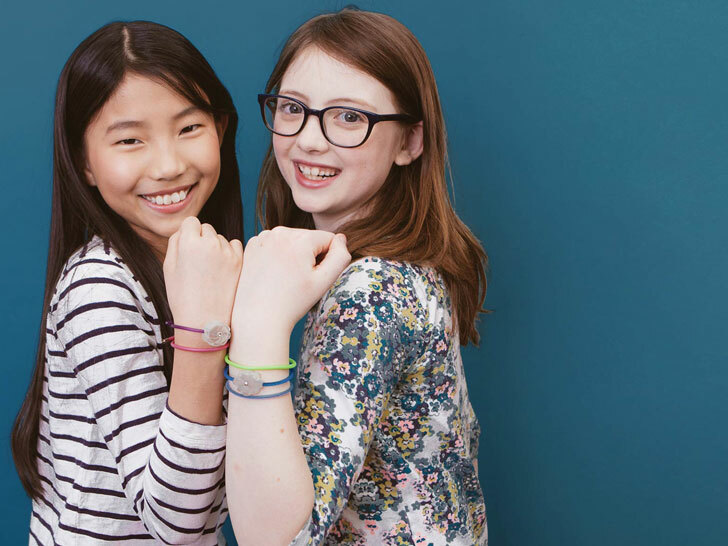 Jewlbots is a new line of smart friendship bracelets that hook up with a smartphone app to teach kids about if/then statements. Friends can pair their bracelets to light up or vibrate when they are close to each other, have sent a message or much more. For those who are more curious, then can go beyond the basic programming to create more intricate responses using Arduino IDE. Jewelbots are smart bracelets with a jeweled flower that can be programmed to light up or vibrate. Using bluetooth through a smart phone, girls can program the bracelet using simple if/then statements. They piece of jewelry can be synced up with friend’s bracelets or can be programmed with the app. Kids who really get a handle on the simple coding can even take it further by doing more advanced programming. The open source platform can be paired with Arduino IDE to further explore what wearable technology is capable of – like notifications when someone texts, comments on social media, alarms and much more. Jewelbots is decidedly a little feminine with its flowery device and intended for young teen girls, but with other device shapes, it’d be perfect for boys and maybe even adults too.